There is perhaps no more important skill in business than the art of negotiation. A good negotiator can sculpt favourable deals, advantageous employment contracts, or even diffuse difficult situations using finely-honed skills. Steve Gates has released a second edition of his book, updated for a world that has changed in expectations but still wants the best bottom line for their dollar. 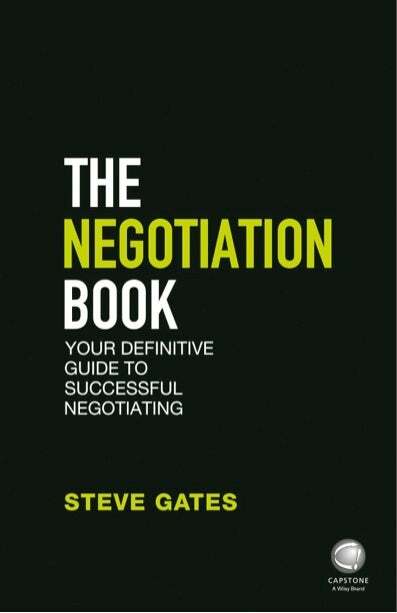 He does this by explaining how negotiation is both an art and a science that when practiced correctly, can get the most out of a situation be it for a finite contract or an ongoing long-term partnership. Your Definitive Guide to Successful Negotiating uses the term “Complete Skilled Negotiator” instead of just “Successful Negotiator” in referring to someone who has both the abilities and the approach. Everyone can pick this book up as it will prove useful in both professional and personal situations- after all, we will all have to wrangle terms at some point.